It is a good book packed with the sweat and tears a large project’s execution. 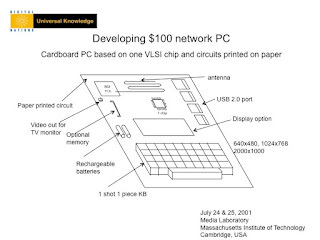 Walter succeeded Professor Nicholas Negroponte as the second MIT media lab director. As I well know of the hardships he experienced, I read it in support. The $100 laptop plan focused on technology (T) and design (D). Undertaking to have the laptops manufactured was management (M). Influencing each nation to purchase, distribute, and use the laptops was the role of policy (P). This book describes the creation of a high speed, wireless, sturdy, power-conserving machine (T+D), but it also goes beyond that to discuss contracts, sales, and funds management (M+P), which lends a fresh perspective. Conceiving of laptops for the purpose of education is step one, and the following journey of manufacture, sales, and distribution are the following. This book describes those nine steps. This is the actualization of what I have been teaching for some time: “How, rather than what.” We are drawing in cooperative instruction from all manner of projects rather than PCs and education alone. The book states that innovators and entrepreneurs are different. That is correct. Innovation is good at the discovery level, but starting a business comes with risks. We cannot only be available for consultation; we must also enact implementation. Walter did not write this, but perhaps he thinks so as well. 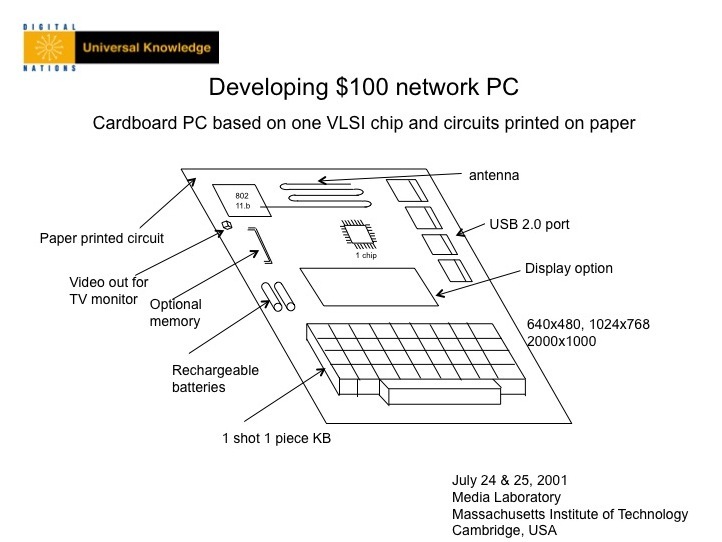 Kazuhiko Nishi, myself, and others proposed the original media lab concept in July 2001. Director Negroponte and MIT immediately made it a project. It impacted planning at a time when laptops were $1000. It was the first sketch of the idea. Our plan was composed of a single notion that did not go beyond “what.” It was immediately made into a project, the enterprise consortium “OLPC” (One Laptop Per Child) was formed in 2005, and the actualization of the nine “hows,” which involved many countries, was the meat of the matter. Distributing 2.5 million laptops to 40 countries is a hard-won achievement. Surely indeed, it is the media lab’s greatest achievement. According to MIT Professor Seymour Papert, we are moving from instructional to constructive doctrine. His pupil Mitchel Resnick worked with the team that created Logo and Scratch, and handled the abstract infrastructure of the plan. We launched CANVAS, which boosts the digital creativity of children in Japan, one year after the creation of the $100 laptop plan in 2002. The activity continues fourteen years later. The Association of Digital Textbook and Teaching was launched in 2010. Japan is advancing digital education as well. The news of the distribution of $100 laptops to all children in Uruguay in 2009 had a big impact. We will try our best and succeed.